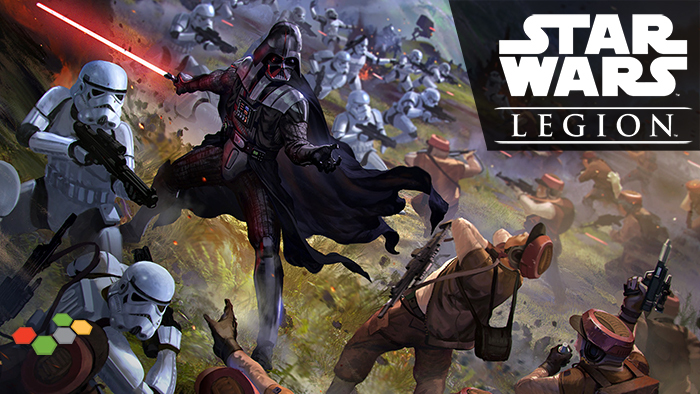 We're getting fired up about Star Wars Legion here at Top Tier Board Games, and if you'd like to get started, this is the perfect opportunity! We'll be running a league that should get you on your feet with an army and reliving the classic struggle between good and evil on the tabletop! League entry will be $15, and all participants will receive 10% off all Legion products for the duration of the League. In addition, players will receive special extended art upgrade cards and commander tokens during the league! There will also be prizes for Best Painted, so be sure to brush up on your miniature painting skills! This league will run from 400 to 800 points. Sign-ups will be open until the start of the league. Each player must provide a reliable method of contact upon signing up so that opponents may coordinate times to play each other. Round One will be played on a 3'x3' area, while Rounds Two through Four will be played on a 3'x6' area. In addition, points will be awarded on a hobby basis, with players scoring an additional point each for Completely Painted and Unified (Matching) Bases. In addition, there will be a vote at the end of the league for certain Best Painted awards (details TBD when our Organized Play kit arrives). Scenarios for each round will be Escalation Operations (last man standing/greatest number of victory tokens/greatest points destroyed), however this league will followed by another at full strength that will include Tactical Operations. All participants will receive special extended art upgrade cards and commander tokens during the league.